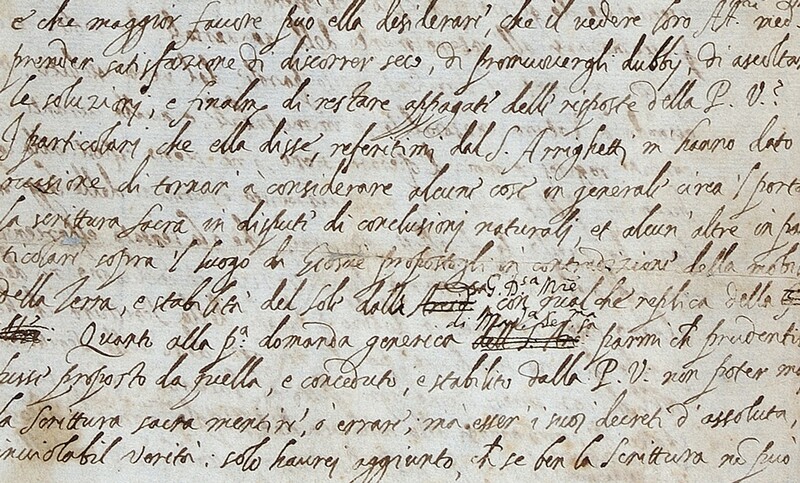 A letter in which Galileo edited his ideas to fool the Inquisition has more or less recently been rediscovered in the Royal Society library in London. And to think it was under their very noses! Like, it was already in a library along with other historical documents, not stashed away in some obscure place. In some ways, it's a pity it wasn't found during some wild treasure hunt worthy of a Dan Brown novel! Fabulous find! I find it very interesting to read about Galileo's original letter and the thought process he was apparently using, very modern in many ways. Also it brings to mind that blinkered refusal to look at observable facts is not a new phenomenon. The religious reactionaries have form going back centuries.